Data visualization employs the use of graphics to communicate or understand information. Scholars differ on their consideration of data visualizations origins. Maps dating from 6200 BC mark the beginning for some (Friendly and Denis, 2005), while others place 2nd century astronomical charts at the onset of data visualization (Few, 2007). Generally, scholars agree that such early maps and charts set the basis for further developments in data visualization. As is the case with origin, there is no clear academic consensus as to the particular moments of major advancement in data visualization. In many respects, technological advancements coincide with innovation and prevalence of data visualization methods (Friendly, 2006).The Enlightenment saw the rise of visual representations of measurements and theories (Friendly and Denis, 2005). In the 19th century, infographics gained popularity in a variety of forms such as bar graphs and pie charts. Widespread computer use from the 1970s onward marks the most recent fundamental shift in data visualization. Digital methods make a variety of new trends possible. These include data manipulation, multidimensional visualization (Friendly and Denis, 2005), analytic visualization, data visualization in academics, and the development of high-functioning data visualization products (Few, 2007). Data Visualization can be described as a practice which aims to communicate abstract data through the use of interactive visual interfaces (Manovich 2010). It is important to notice, that for data visualization there is not a substantive body of theory (Unwin 2008, 4), and that it is thus dependant on different disciplines. Deriving from statistics and aiming at developing a (visual) language for successful communication and interpretation of visual information, data visualization as well takes perceptual psychology and cognitive science into account. Yet, as Purchase et al. claim, those disciplines fail to address the specific problems of visualization. While they provide general guidelines, models from non-visualization fields do not consider the context of the visualization environment  the user and the computer. What is needed is a set of formal foundations that bridges the gap between the general human experience and the visualization domain ( Purchase et al. 2008, 52). Consequently, theories of data visualization comprise formal models (ibid., 65), that have to be applied to varying contexts. As Unwin claims there are two main reasons for using graphic displays of datasets: either to present or to explore data (Unwin 2008, 59). In contrast to static printed visualizations, data visualization is a dynamic medium of complex relationships (Purchase et al. 2008, 52). Hence a theoretical understanding and analysis has to be based on a processual, temporal method (ibid.). A (growing) collection of interactive news graphics produced by the Guardian and the New York Times. 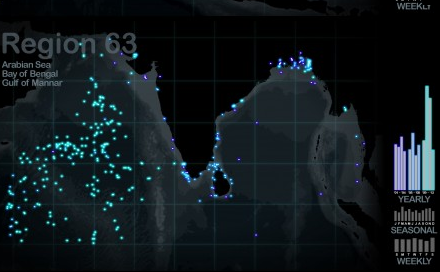 This work combines interactive information visualization, cartography and journalism. This visualization plots over 140,000 newspapers published over three centuries in the United States. Find and translate all newspapers in the world in this growing collection. This collection shows visual data like the variations in wood Moisture Content (MC) in a wide range of cities, according to the wood type, month of the year, temperatures and humidity. A useful instrument to woodworkers/companies to know when and how wood reacts to external conditions and thus apply prevention treatment to keep its quality. This visualization articulates the importance of understanding the world's use of renewable resources. Compare countries to the worldwide highest levels or just two countries against each other; change scale from per person to per nation; or select a specific kind of resource. A dataviz collection on a wide range of topics. Creators and publishers include research institutes, freelancers, media and design companies, news organisations etc. Few topics are better suited than geography for examination as an infographic. These geography infographics span topic from tsunamis to cartography. With recent political turmoil and unrelenting bipartisanship, explore the political infographics showcased to stay up-to-date with worldwide politics. 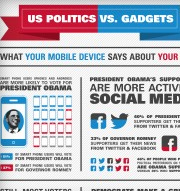 The infographics you find here don't fit neatly into our other categories. Explore the hundreds in this list as you may just find a golden nugget! This are 50 of the best data visualizations and tools for creating your own visualizations out there, covering everything from Digg activity to network connectivity to whats currently happening on Twitter. In this collection, youll find forty beautiful and educational infographics, displaying the uncommon spectacle of "art meets science". visualizing.org is a community of creative people making sense of complex issues through data and design...and a shared space and free resource to help you achieve this goal. OpenProcessing is an online community platform devoted to sharing and discussing Processing sketches in a collaborative, open-source environment. Visual representation of data : algorithms and methods. The best data visualization projects of 2013. Tower Graphics. Data Visualization. A touch of humor on the Behance Network. Data and visualization blogs worth following. Inspired by Lev Manovich's definition of "information aesthetics", this weblog explores the symbiotic relationship between creative design and the field of information visualization. More specifically, it collects projects that represent data or information in original or intriguing ways. 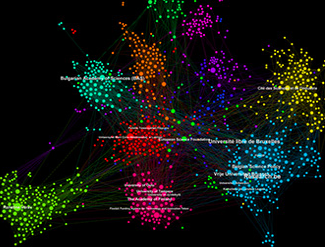 Gephi is an interactive visualization and exploration platform for all kinds of networks and complex systems, dynamic and hierarchical graphs. Many Eyes is a set of free data visualization tools provided by IBM. The site allows users to upload their data and produce visualizations that others can view and comment on. Users have a wide range of visualization options available  network diagrams, scatter plots, matrix charts, bar charts, histograms, bubble charts, line graphs, stack graphs, pie charts, tree maps, word trees, tag clouds, word cloud generator, as well as the maps of the world and US. 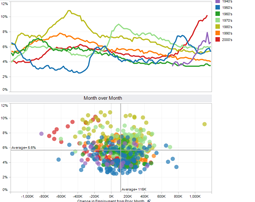 Chartle is a free online data visualization service that offers simplicity, ubiquity, and interactivity, in the creation of your charts and their publication online. Chartle offers users a wide range of data visualization options; users can create bar charts, column charts, pie charts, line charts, area charts, scatter plots, Venn diagrams, radar charts, organization charts, data tables, automated timelines, motion charts, gauges, and a wide variety of maps including simple maps, US and world intensity maps, address maps, and latitude/longitude maps. Piktochart deals with an online tool for creating presentations and infographs which allow users to create interactive and informative charts without the need of Photoshop skills. A website that lets users create their own infographics in a simple and structured manner. Weave (BETA 1.0) is a new web-based visualization platform designed to enable visualization of any available data by anyone for any purpose. Weave is an application development platform supporting multiple levels of user proficiency  novice to advanced  as well as the ability to integrate, disseminate and visualize data at nested levels of geography. A suite of powerful drupal-datavisualization modules. Tablaeu offers free and professional software for data analysis, business intelligence and data visualization. Hohli is an online chart builder which allows you to create line charts, bar charts, pie charts, venn diagrams, scatter plots, and radar charts for free without needing to download any software. Charts can be horizontal, vertical, or square, and can also be created in different sizes. Specialises in small chart widgets. Online diagram and flowchart software. The Google Public Data Explorer is an online visualization tool that enables users to easily explore and visualize large data sets. Googles motion charts make it very easy to see and understand the changes as they have happened. The Explorer can be used by anyone who wishes to create visualizations of public data, link to them, or embed them in their own webpages. Additionally, embedded charts and links can update automatically, thereby providing the user with the ability to always share the latest available data. This online database and mapping tool has become a default for producing quick and detailed maps, especially those where you need to zoom in. 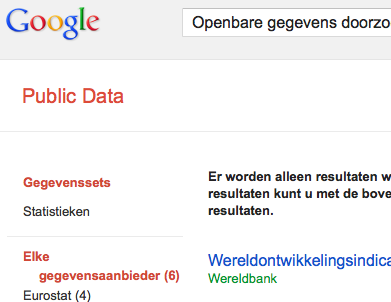 You get all the high resolution of google maps but it can open a lot of data - 100mb of CSV, for instance. Googles tool for creating datacharts.They are pretty design-neutral, which is useful in small charts. The line charts have some nice options too, including annotation options. Google chart offers powerful, simple to use, and free tools for generating interactive data charts. 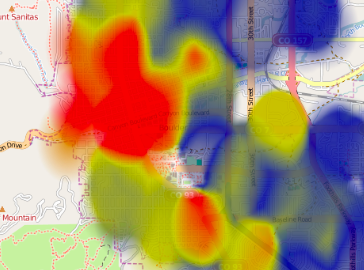 Open Heat Map is an incredible tool created by Peter Warden that lets you create your own heat maps in literally seconds with either an Excel spreadsheet or a Google Docs spreadsheet. You can use the maps to illustrate patterns, highlight intensity levels, showcase regional differences, and much more. Statsilk allows you to make interactive datamaps. A tool for creating clickable world maps. Not, strictly speaking, a visualisation tool, Color Brewer - originally designed with federal funding and developed at Penn State - is really for choosing map colors, and is worth spending some time with if plan to make many more. You can choose your base colour and get the codes for the entire palette. Diagramly is an online drawing application that can be used to visualize relationships, organization charts, networks, database schema, and other information. It can also be used to depict telecommunication networks, workflows, flowcharts, map overlay and GIS, electronic circuits, social network diagrams, business process management (BPM), business process modeling notation (BPMN), and UML. 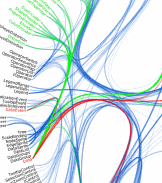 NewRadial is a program created specifically for the visualization of humanities data. Using this software, users can create nodes, create and edit commentary for a group of related nodes, edit connecting information as well as search results. Another wordcloud site with a bit more versatility. Handy tool for making tagclouds. TagCrowd is a web application for creating word clouds, also known as text clouds or tag clouds. 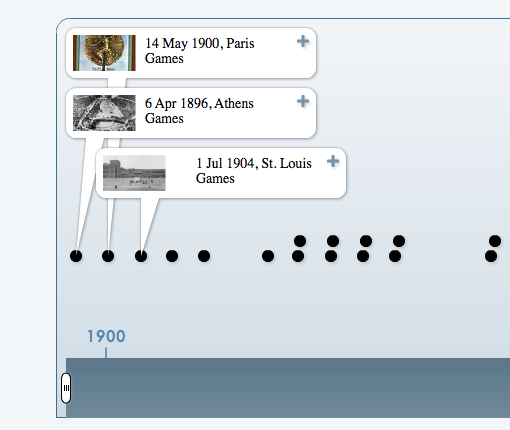 Timetoast is an online application that allows users to create free interactive timelines which can be shared anywhere on the web. an interactive software that allows the user to communicate, through animated graphics, with a plethora of statistics and see the relation between them, from various economic indicators to infrastructure development, from education statistics to climate and health conditions. Gapminder Desktop can be downloaded to use the service offline. Better-known as a data supplier, Datamarket is actually a pretty nifty tool for visualising numbers too. You can upload your own or use some of the many datasets they have to offer - but the options do get better if you get the Pro account. A carefully selected list of recommended tools for datavisualization, information visualization, data, infographic, map, chart, graph, diagram, design, programming and analysis. Over 100 incredible infographic tools and resources (categorized). 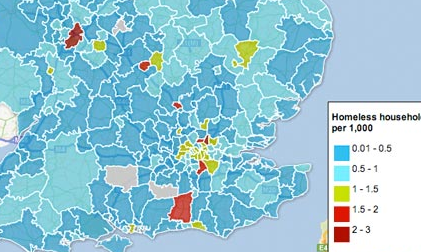 Some of the most useful visualization tools according to British newspaper The Guardian. 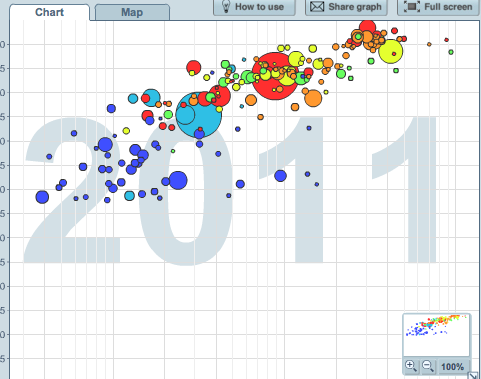 17 free data visualization tools. Infographics are information represented in form of visual graphics, aiming at providing a immediate and clear understanding of facts, events or data. Though information graphics and data visualization do not have to be intended as synonyms: although they represent a peculiar form of data visualization, infographics may not be related with data themselves. Thus an infographic can be considered either a tool or a branch of data visualization, and data visualization may be a goal and a reason for creating infographics. Information graphics are used in the fields of information design and information architecture as well for their capacity to improve cognition of complex information. Flare - Makes it easy to create interactive data visualizations (ActionScript).